Successful sealing solutions for the medical industry are critical when it comes to preventing cross-contamination. High performance seals are necessary for demanding applications across a wide range of industries – but when it comes to Food and Pharmaceuticals and interaction with the end user, there is an additional element of responsibility for manufacturers of these products. Global healthcare as we know it is shaped by a growing concern over hygiene levels, from professionals, hospital workers, patients and manufacturers of medical equipment all striving to secure the highest possible standards of sanitation. Revelations about the impact of HCAIs on healthcare systems have led to some organisations working to change policy and behaviour to tackle cross-contamination in their institutions. For example, based on recommendations from the National Institution for Health and Care Excellence (NICE), the UK’s National Health Service (NHS) introduced a hand-hygiene policy in which both staff and patients are obliged to use handwash dispensers – placed by doors in hospital buildings – each time they pass through a new room. There have been several high profile cases regarding sterilisation techniques of medical equipment, a notable example being the failure of the aforementioned NHS to sterilise instruments contaminated with the human form of ‘mad cow disease’. With further developments in science and technology, our understanding of bacteria, hygiene, sanitation, sterilisation and contamination advances – as do our solutions in tackling the problem of cross-contamination. Another significant development to tackle cross-contamination in healthcare is the use of single-use medical equipment. In attempts to minimise the chances of unsterile equipment, most professionals now rely on the likes of hypodermic needles that have been already sterilised in the manufacturing process, designed to be used only once and then disposed of immediately thereafter. 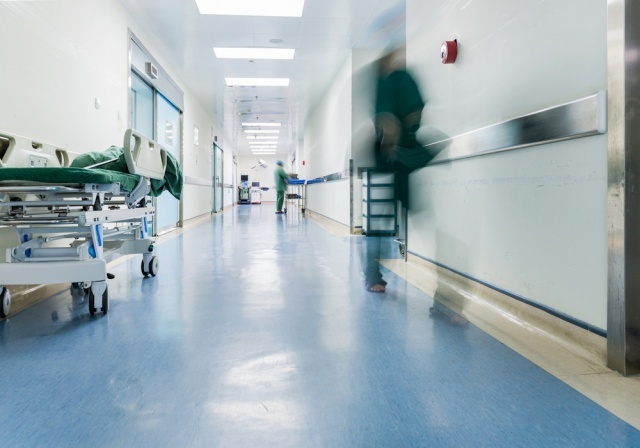 For medical equipment manufacturers, more often than not these incidents of infection and cross-contamination fall outside of your remit. The responsibility for ensuring hygienic use tends to lie with the actions of the professional – but how convinced are you that your products are as safe as they could be? You can be safer in the knowledge that you have a reliable high performance product, and help your company avoid a potential PR disaster in the future, through gaining a greater understanding of your product's elastomer sealing components. Gaskets, also known as Frame Seals, are designed to prevent leakage and fill space between two or more mating surfaces. Again, when we consider the hypodermic needle, the whole device is designed to prevent the liquid from leaking; leaving a completely sterile environment and entering straight into the human body. To ensure high performance with no room for leakage, Novotema manufactures elastomer gaskets and frames in a near-infinite range of shapes and sizes – with the ability to manufacture a custom gasket to meet the demands of your application perfectly. For single-use medical equipment that require sterilisation to be part of the manufacturing process, be assured that Novotema are certified to ISO 13485:2012 quality management system for the design and manufacture of gaskets and other elastomer sealing components. O-rings are the most commonly used sealing component in the world, with the Pharmaceuticals industry and countless medical applications tending to be heavily reliant on the qualities of high-performance O-rings. One of many critical applications for O-rings in the Pharmaceuticals industry is the sealing of drug and medicine containers. Such objects are designed with child-safety as a concern and must be precision engineered in order to comply with safety standards and regulations. If you’re searching for a better performing O-ring for your medical device, do you know how to identify quality? Novotema O-rings for the Pharmaceuticals industry are available in seven different grades, all certified to USP Class VI – meaning their suitability and reactivity have been thoroughly tested and comply with standards set by the United States Pharmacopeia for Pharmaceutical and Medical applications. Non-compliant O-rings have the potential to be toxic or reactive with chemicals they come into contact with, and therefore present significant risks in the medical industry when the safeguarding of human health is a critical concern. Membranes and diaphragms tend to be found in various types of pharmaceutical applications, including pneumatic control valves, air regulators and various types of pumps. By using innovative sealing materials offering the ultimate in thermal and chemical resistance, these high quality pharmaceutical grade diaphragms and membranes can be manufactured to the thinnest cross sections and tightest tolerances while still withstanding a wide range of process media, potent Active Pharmaceutical Ingredients (APIs) and aggressive cleaning regimes – including clean-in-place and steam-in-place. It means that the only chemical reactions occurring are those involving the process media, and that degradation of the seal doesn’t lead to rubber contamination in the process line. Lip seals can be used in pharmaceutical applications where uni-directional pressure is a factor, in either static or reciprocating dynamic conditions. Due to their symmetrical cross-section, lip seals are commonly used in rod or piston grooves. From chemical processing equipment through to mixers, dryers and milling machines, radial lip seals deliver reliable sealing in the most extreme process environments. In pharmaceutical applications, lip seals can be customised with specialist surface treatments – namely PTFE – which can substantially reduce the friction and wear experienced in the sealing system. This has an impact on lowering temperatures and mechanical stresses which might otherwise lead to premature degradation of process line components, and subsequent process contamination. Valve seals and valve seats regulate, control and direct the flow of chemical media in Pharmaceutical applications by opening, closing or partially obstructing passageways. This brings a wide range of benefits to medical devices including not only flow control but pressure regulation. Duckbill and one-way (non-return) valves are specifically designed to prevent backflow of chemical media. This is pivotal to preventing contamination, ensuring the correct direction of flow in a variety of biomedical pumps and tubing systems for example. Required to perform under high pressure in critical medical applications, Novotema’s valve shutters, seals and seats are all certified to USP Class VI standards. Often an afterthought for manufacturers, sealing components in the Pharmaceuticals industry are critical to the performance of the overall device and the prevention of contamination. At Novotema, we design and manufacture custom sealing solutions to suit any Pharmaceutical or Biomedical application. We also offer a consultancy service with our experienced sealing engineers to design a component tailored your exact requirements, all certified to USP Class VI for your peace of mind. Using FEA Simulation, we’ll also test our component to monitor how it will perform in real-life applications, ensuring that your equipment doesn’t experience leakage, deformation or excessive wear in the field. To find out more about preventing contamination with Pharmaceutical sealing, or to get in touch with one of our experienced sealing engineers, fill out our contact form today.